What Makes Birds Such Unique Animals? Although it may seem that this question has an obvious answer, birds share many seemingly unique traits with other animals. So, it there one or more traits which are unique only to birds? Read on to find out just what those traits may be. Is it their pretty colors? Birds do have an amazing array of colors, thanks to their colourful plumages. However, insects are also quite colourful, especially insects like butterflies, moths and many types of beetles. Mammals are also quite colourful; for example, cheetahs and monkeys. And fish also exhibit an astonishing variety of colourful bodies. The bills of birds are certainly one of their distinguishing traits. However, one mammal, the platypus of Australia, also has bill-like mouthparts. Is it the ability to fly? No. 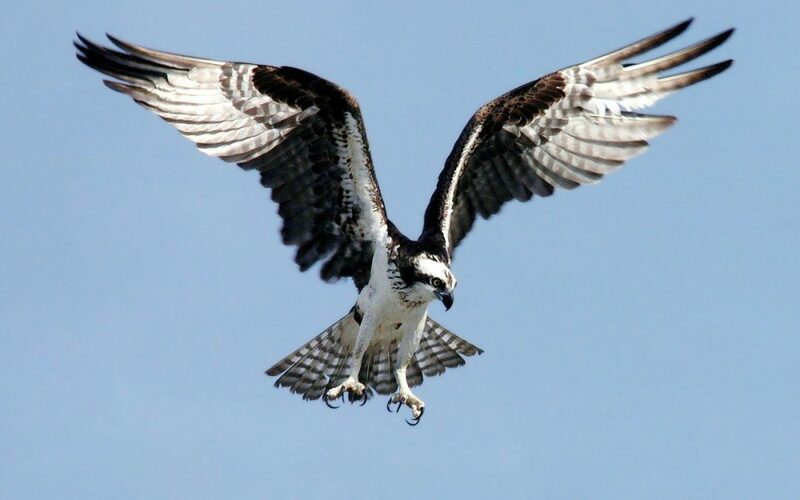 There are numerous other animal groups which possess the ability to fly. Bats possess flying abilities that are, in some ways, more extraordinary those of birds. And there are many thousands of different insect species which can fly, such as dragonflies, mosquitoes, flies, etc. Is it the presence of wings? No. Both mammals (i.e., bats) and insects possess wings. And there are some species of fish, the Flying Fish, whose fins are shaped like wings. These fish don’t really fly but they can glide above the surface of the water for considerable distances. Birds have a modified skeletal structure which enable them to move very quickly. Is this a unique trait? No. There are numerous animals whose bones and joints have been modified to allow them to move a great speeds. The Cheetah, for example, has a hip joint which possesses more flexibility than even most other cat species and which enables them to accelerate rapidly and make very fast changes in direction at high speeds. Is it the fact that they lay eggs? No, there are many animal groups which lay eggs. Fish, frogs, toads, snakes, alligators and turtles are just a few of the vertebrate species which lay eggs. Then there are all of the millions of insect species which also lay eggs. Even a few mammal species, like the Duck-billed Platypus and the Echidna (or “Spiny Anteaters”) lay eggs. Is it their highly developed intelligence? Many bird species possess a fairly high level of intelligence. Some of the parrots have been eveluated as having problem-solving skills equal to that of a two-year old human child. In addition to birds, there are several animals which have shown a high level of intelligence. Monkeys, dolphins, and dogs have all demonstrated the ability to perform tasks which require at least a minimal level of intellectual ability. Is it their incredible annual migrations? While birds certainly demonstrate unique migratory abilities, they are not the only animal which migrates over great distances. Caribou in northern environments will migrate hundreds of miles from summer feeding grounds to their wintering ranges. The same is true of the African wildebeest, but in their case, migration journeys are driven more by the urge to find food in the dry season than the cold season. And salmon, who float downstream from their spawning grounds far from the ocean, spend six years in the open ocean before somehow managing to find their way back to their spawning grounds. Yes. Birds are the only animals on earth which possess feathers. No other creature possesses a structure similar in composition to feathers.